Dr. Cappiello has practiced general dentistry since 1986 with a focus on full-mouth rehabilitation and attention to TMJ, restorative and cosmetic dentistry. He believes in a caring, team approach to patient care and works with top specialists who complement his skills. He believes his patients need to be active in maintaining their own health. Therefore, they must have an understanding of their current state. He takes time developing a relationship with his patients in order to understand their goals. He explains his findings to them so they can make decisions about the type of treatment that is best. 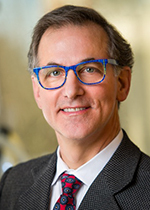 Dr. Cappiello has taken continuing education courses at the prestigious Schuster Center for Professional Development, the Pankey Institute and with the Hornbrook Group. He is a member of the American Dental Association, the Virginia Dental Association and the Northern Virginia Dental Society. In addition, he is an active member of the NOVA Institute for Dental Education, a local chapter of the world-renowned Seattle Study Club, and he also participates with the NOVA Synergy Training Program for implant dentistry. Dr. Cappiello has been named Top Dentist by his peers in both the Washingtonian Magazine and Northern Virginia Magazine. Since 1990, Dr. Cappiello and his wife have lived in Northern Virginia with their three children: two daughters and a son. All three attended Marshall High School where they were active on the cross-country, track and field, field hockey and soccer teams. Their oldest graduated from James Madison University with a B.S. in geology and is pursuing a Masters in the same field. His other two children attend Virginia Tech pursuing degrees in marketing and engineering. Dr. Cappiello is a second-generation Italian-American. All of his grandparents immigrated to the United States from Italy between 1899 and 1910. His parents grew up in Northern New Jersey, where Dr. Cappiello was born. His family moved to Wilmington, Del., in 1968, where he was raised.